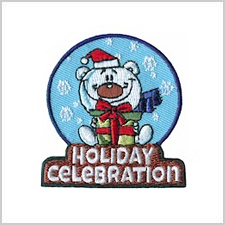 Each week we post a patch on our Facebook Page and Instagram. 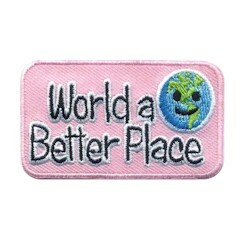 Leaders are asked to post a photo of their girls earning that patch. 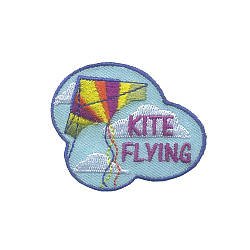 We ask you include the troop number, location and a brief description of what your girls did to earn the patch. 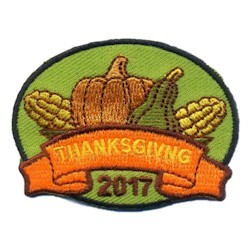 One or more troops will be chosen to receive the patches for free. 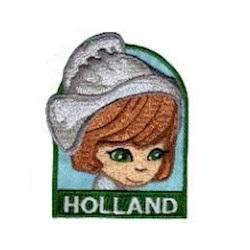 For the winning troops, one patch will be awarded to each girl pictured in the photo. 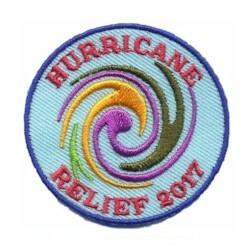 We will be using the photos in our blog or website so make sure you have photo releases! 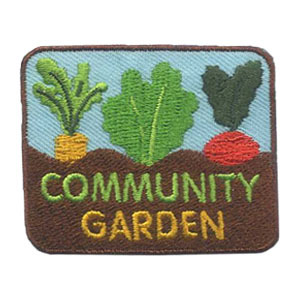 Earn a little Free Librarty Patch. 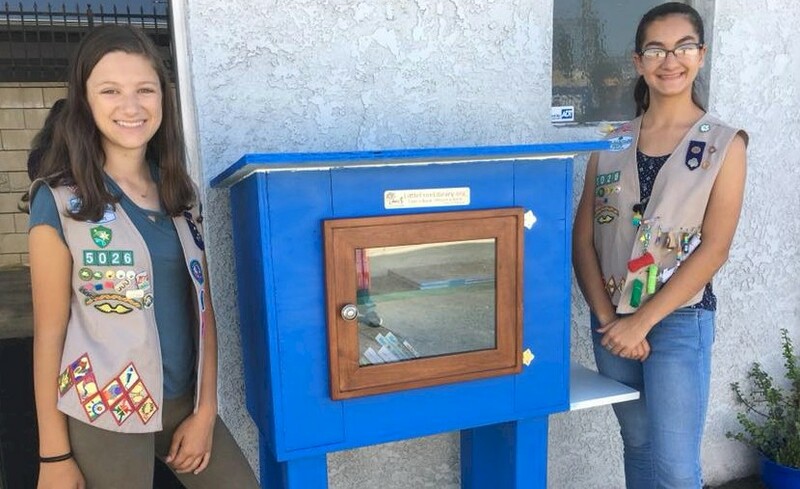 Senior troop 5026 in North Hollywood, CA built from scratch a Little Free Library for a local cat shelter and collected books about cats and pets for it. 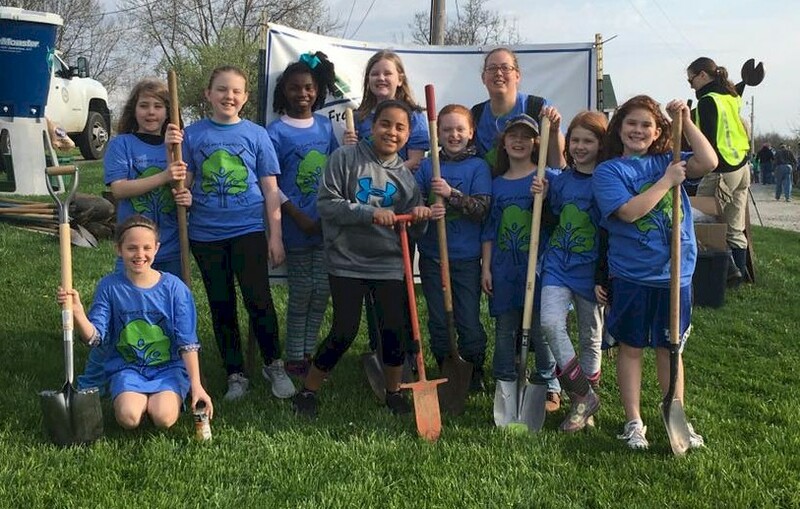 Earn an earth day patch like Brownie Troop 7175 from KY, They planted around 50 trees at a local park! 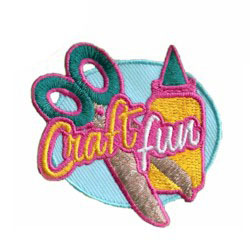 Earn a craft patch like Daisy Troop 6424 from Rancho Cucamonga, CA. 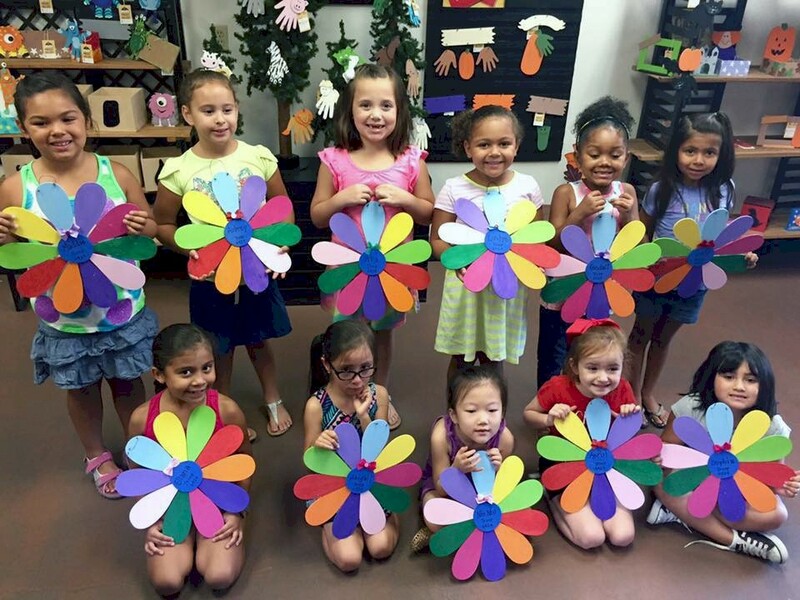 They made large wooden daisies that each girl got to personalize with their name on it. They took their creation home and hung them up in their bedrooms. 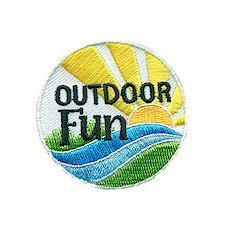 Girl Scouts of all ages can earn an outdoor fun patch. 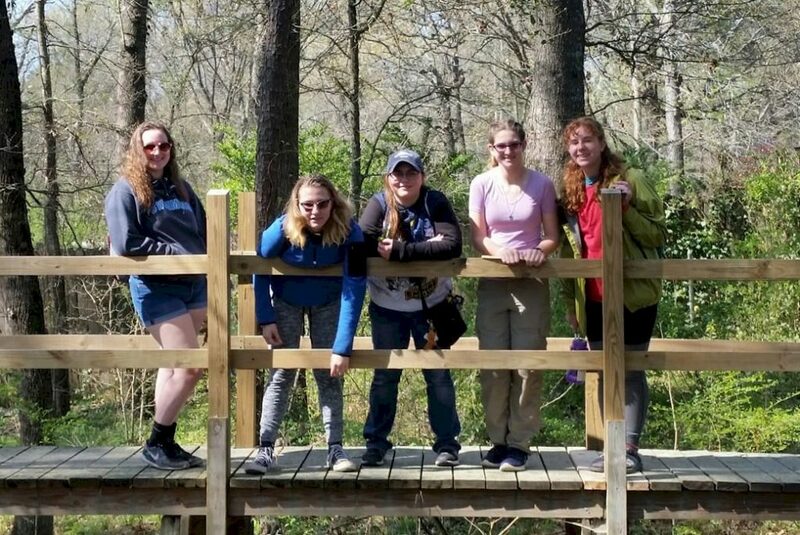 Cadette & Senior Troop #1147 at Forestry Museum in Lufkin Texas earning the retired Forestry IP. 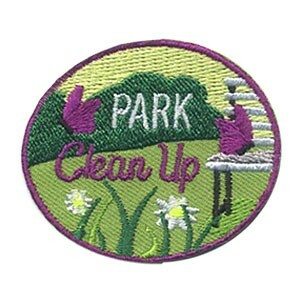 Earn your Girl Scout Sunday patch. 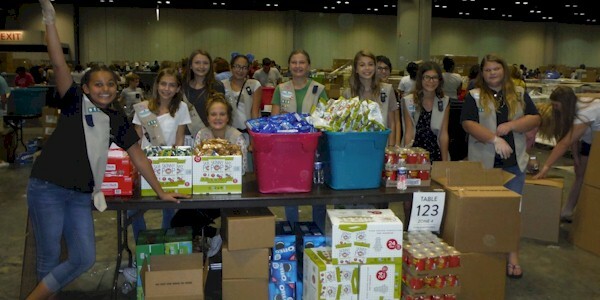 18 girls from 5 troops host the Sunday service on GS Sunday and concluded with a food drive for the food pantry. 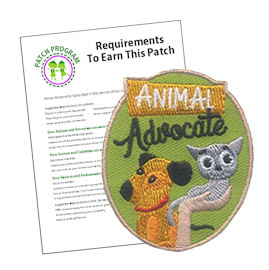 Here's a special way to earn the painting fun patch. 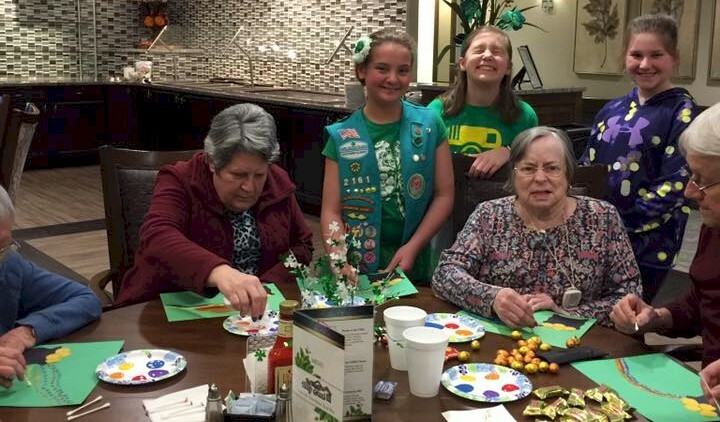 Junior Troop 2161 organized and hosted a St. Patrick's day party with the residents of Villas of HollyBrook Retirement and Memory Care Residential center. One of the activities was painting with the residents. 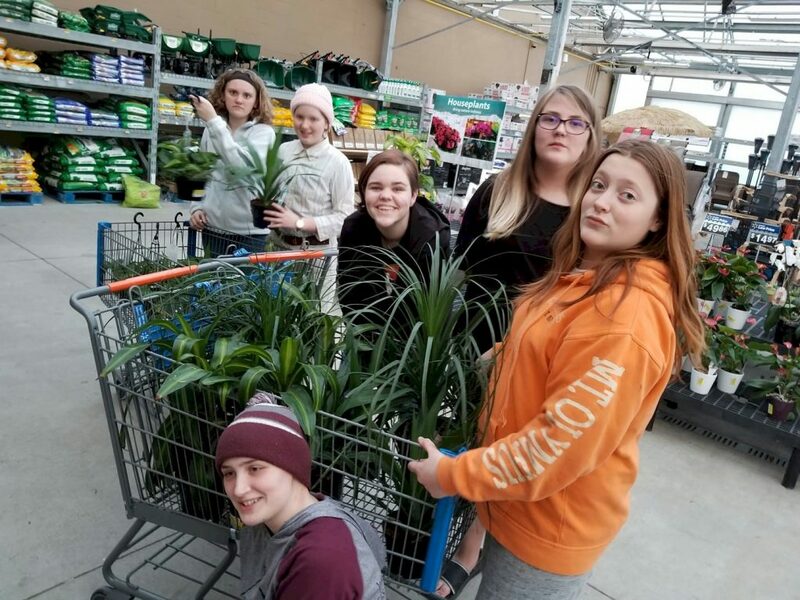 Cadette* Troops 1081 & 1074 of Prairie du Chien, Wisconsin breathe take action project greening the school with year old plants and the help of community partners. 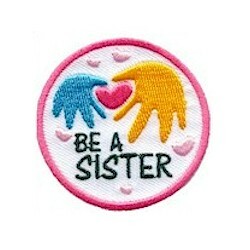 These girls earned a "Be a sister" patch. 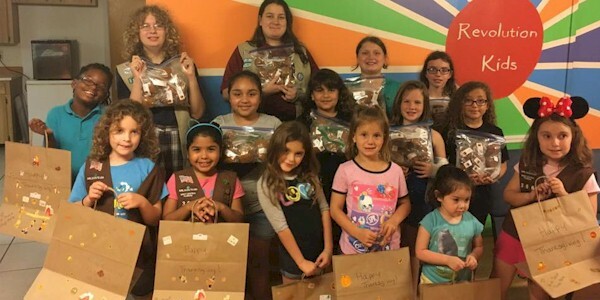 Cadette Cookie Captain took time from her very busy middle school schedule to help mentor a sister troop First time seller Daisy and Brownie. 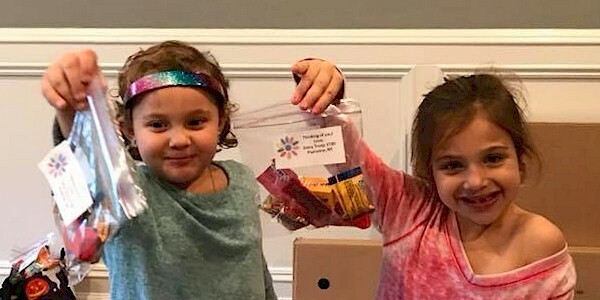 She taught them proper behavior and ettiquite. 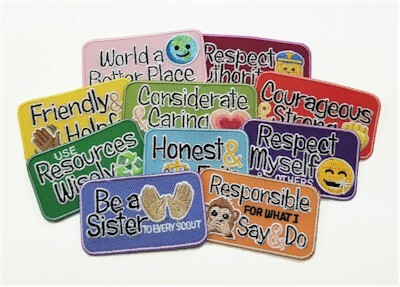 How to sell cookies and explaining each type to customers. 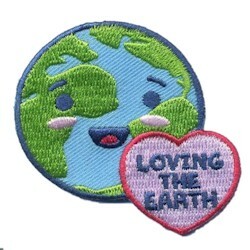 Keep a smile on and always say Thank You and have a nice day. They taught her to have fun and not to take herself so serious. 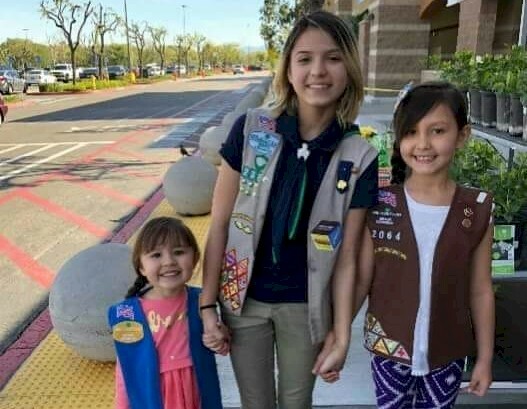 Troop 2384 & 2064 Southern California...... 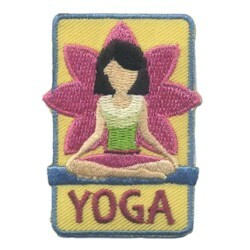 Girl Scout way!!!! 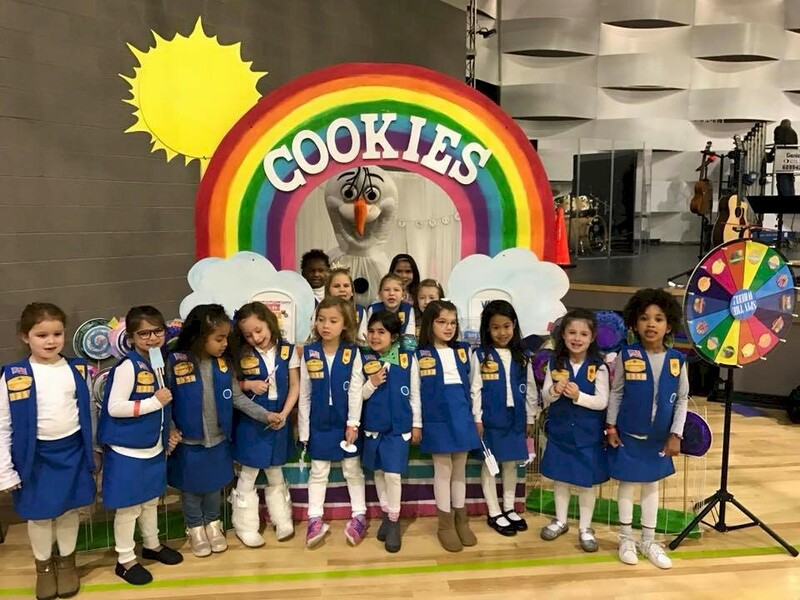 Daisy Troop 1350 in Gambrills, MD had 24 kindergartners that worked hard on their first cookie selling season getting out of their comfort zone drawing customers in and making sales. Our sunshine, lollipops and rainbow cookie booth even had a special lollipop garden so each girl was represented! Their favorite selling tactic, though, was the “can’t decide” spinning wheel. 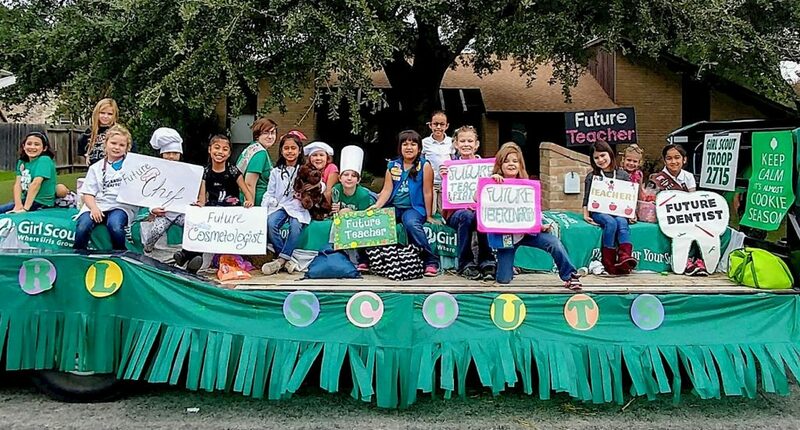 Multi-level Troop 2715 showing their Girls Scout* pride at the fall parade! 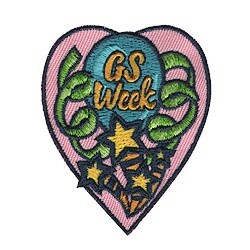 They girls received "I love GS*" patches. 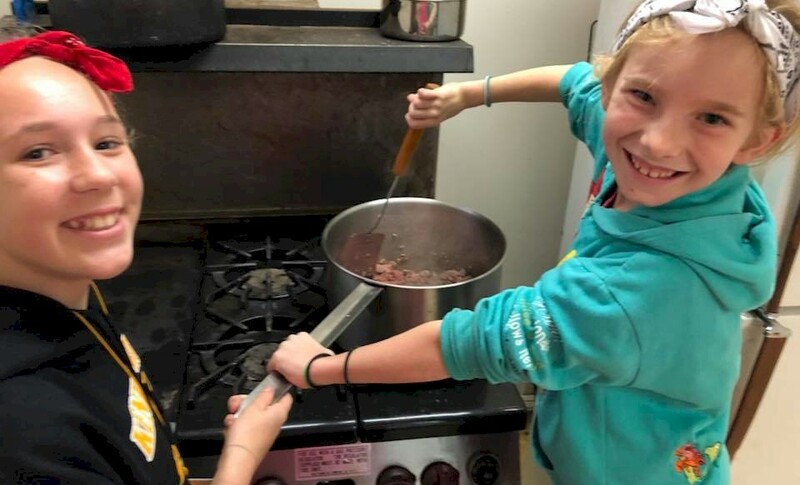 California Brownie* Troop 10977 with Cadette* assistance cooking dinner at our cabin camping overnight. 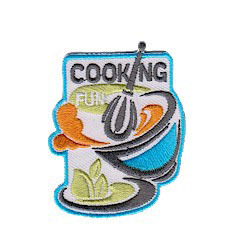 Each patrol took turns cooking every meal. 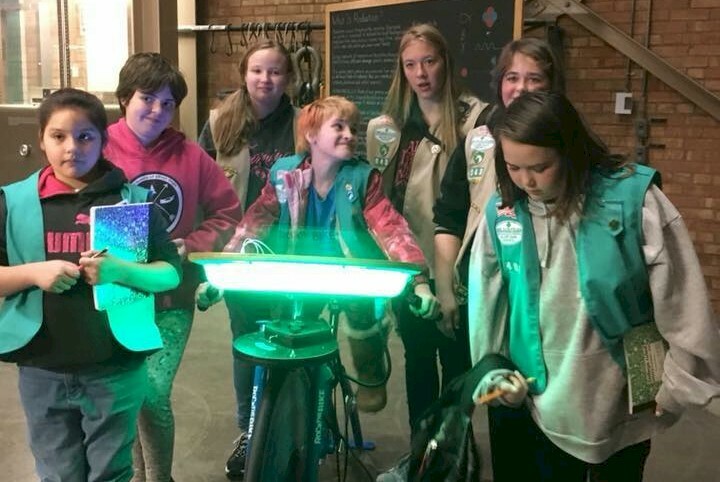 Troop 843, Junior* to Senior*,from Idaho Falls attended a STEM event at EBR 1 nuclear reactor site! 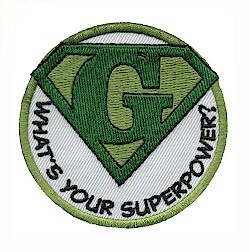 They earned the What's your superpower patch. 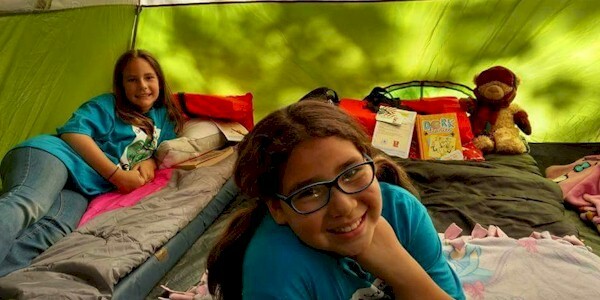 Junior* Troop 1250 at our annual council-run camp. 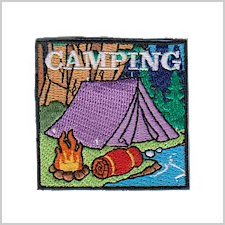 These girls earned a fun camping patch. 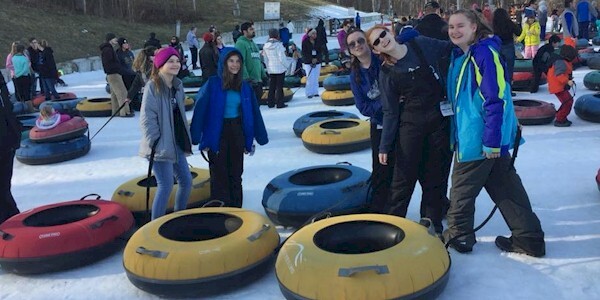 Senior* Troop 2297 went tubing at a ski resort in southern Indiana. 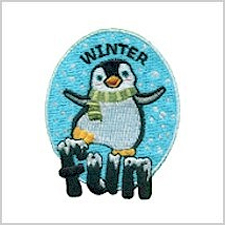 The girls received a winter patch. We call our dance the “me and my VIP dance”. 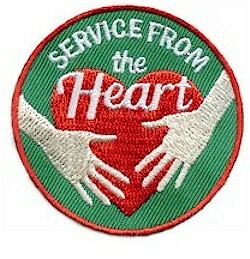 It’s a really awesome night that is for our whole Girl Scout service unit. 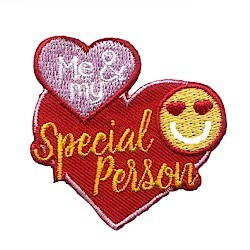 Girls received the Me and my special person patch. 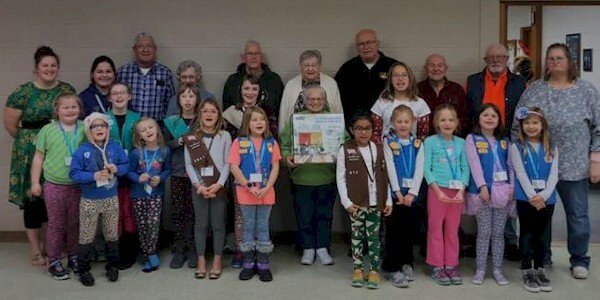 Troop 20412 of Algona iowa presenting our local senior citizens center with a new water dispenser purchased from our fall product sale proceeds. 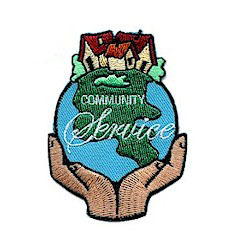 Our senior center provides noon meals for seniors, meals on wheels for home bound seniors, activities for seniors, and serves as a community center as well. 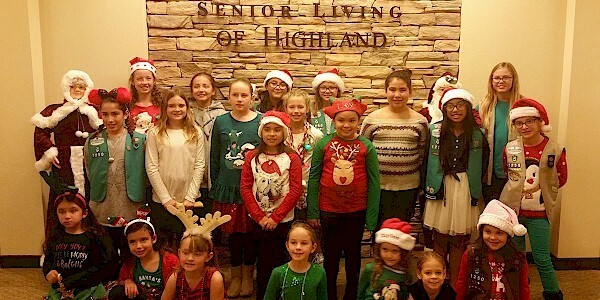 Troop 17695 from Minneapolis celebrated this holiday season by seeing Ferdinand the movie after a trip to a local nursing home to carol and pass out gifts to the residence. 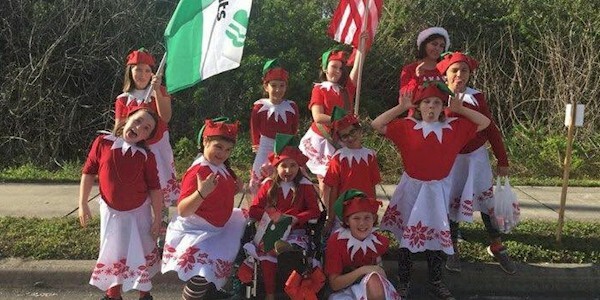 Troop 334 marched and handed out candy in our local Christmas parade! 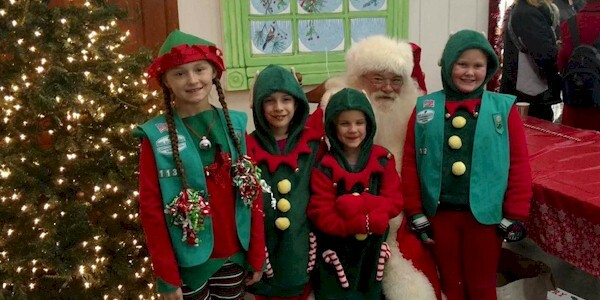 Local Rescue Squad ask troop 1132 to come be in the Christmas Parade with Santa Claus. 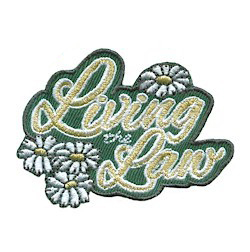 Earn a singing for seniors patch. 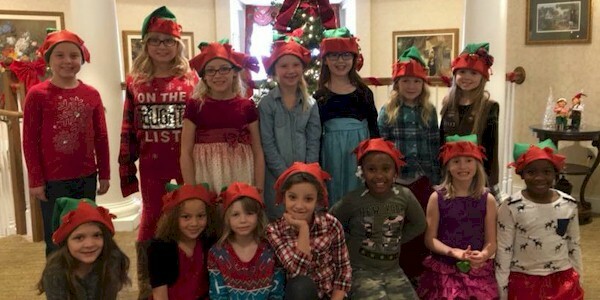 Brownie Troop #70 caroling at a local nursing home and gave Holiday cards to the residents. 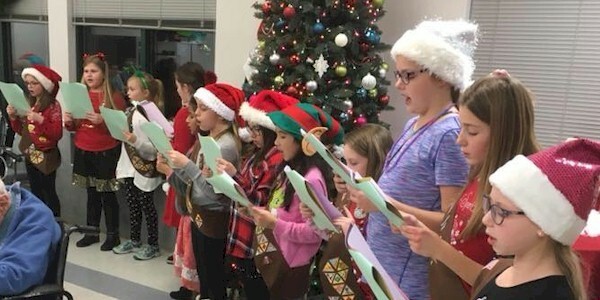 Troop 1250 in Highland, CA went caroling at the local senior center. 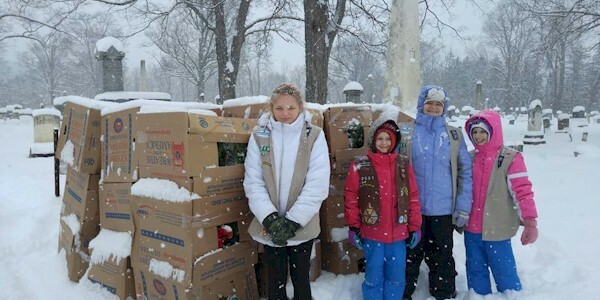 Troop 42195, Warsaw Cemetery N.Y., laying wreaths for our veterans. 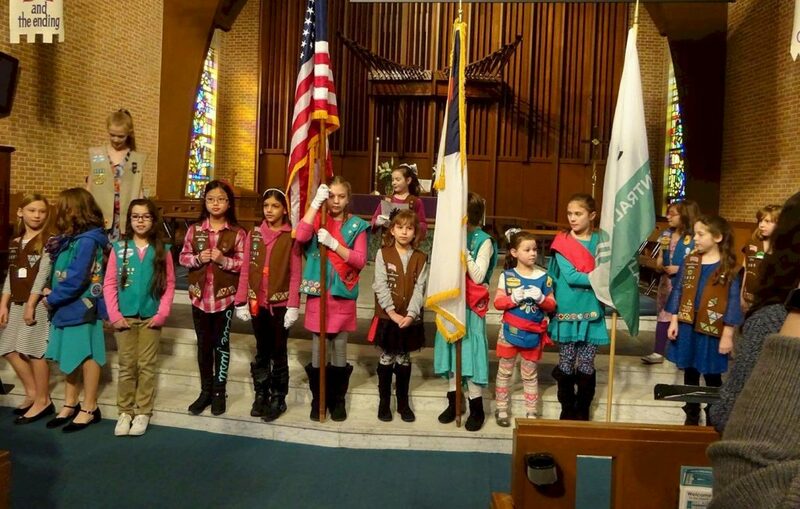 Girl Scout Troop 9620 from Corpus Christi, TX laid wreaths on the grave sites at the Coastal Bend Veterans Cemetery. 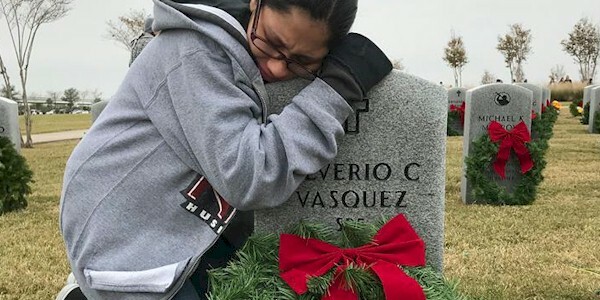 One of our girls laid a wreath at her uncle’s grave site. He passed away last year. I'm active duty and the troop leader my co leader is active duty and deployed....we are the leaders of Troop 118 from Virginia Beach VA...we organized the wreath laying ceremony at our local Veterans cemetery (Cedar Grove Cemetery in Portsmouth VA) in conjunction with a Boy Scout troop. 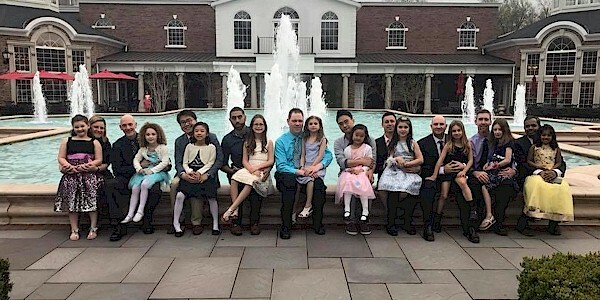 It was a beautiful ceremony in which the mayor gave a very powerful speech. 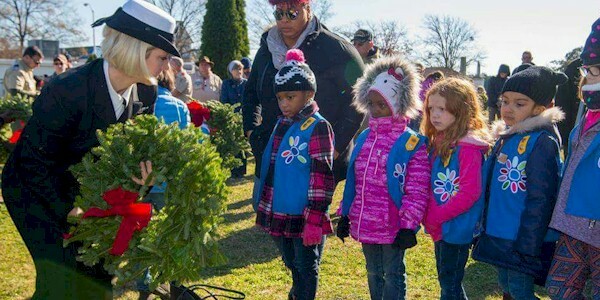 I was proud to have helped organize the ceremony and proud of my Daisy's to reverently place a wreath on so many sites. 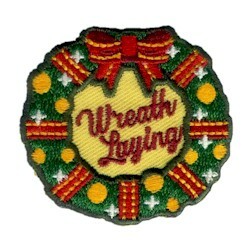 We raised enough money as a Troop to personally donate 30 wreaths!!! 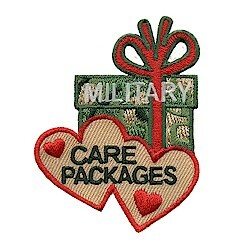 !As a service member it honestly choked me up to look into their eyes and place a wreath into their outstretched arms. 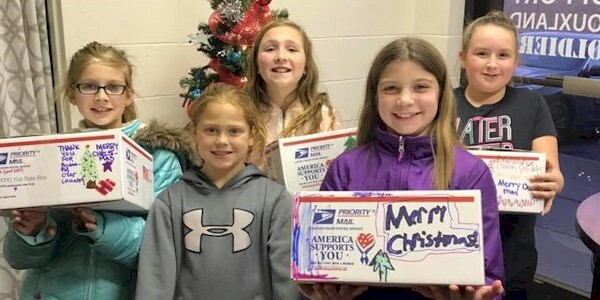 Troop 365 packed care packages for Siouxland Soldiers. Jr Troop 16222 and Cadette 10565 rebuilding the walkway bridge at George Bible Park in Bryan Ohio in the rain to make the world a better place. 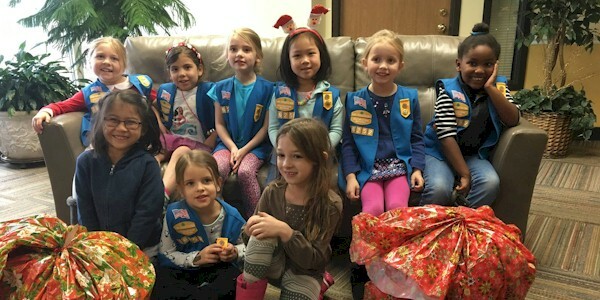 Kindergarten Daisy Troop 76252 donated items for a Christmas dinner and delivering the baskets for the elderly in southeastern Michigan. 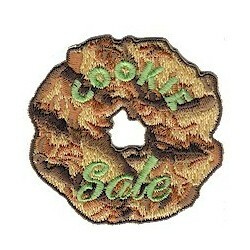 Troop 366 Lakeland Fl. We decorated 50 bags for the local Thanksgiving Dinner for the elderly. Dinners were delivered in these bags. 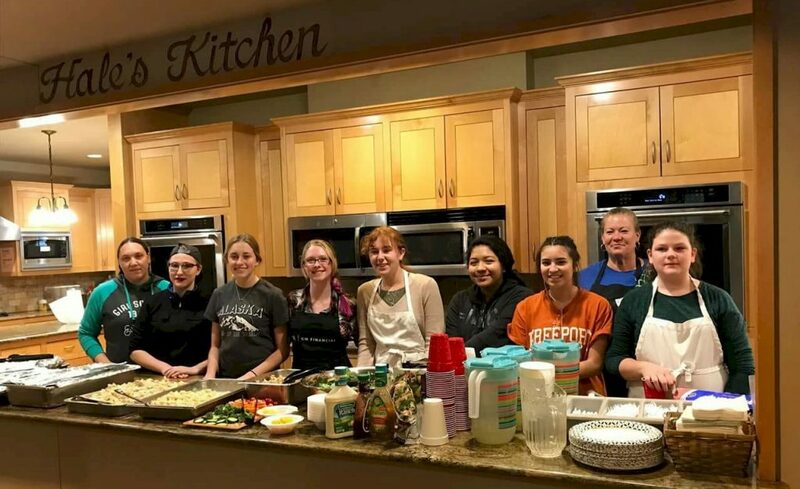 We also made 144 pumpkin muffins to go on the bags! 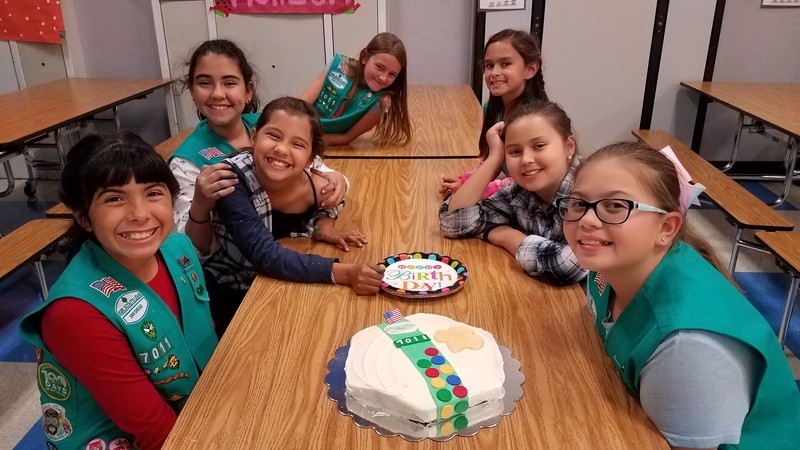 Troop 30500, Marina CA. Handing out Thanksgiving Turkeys & fixings to the needy last Wednesday. 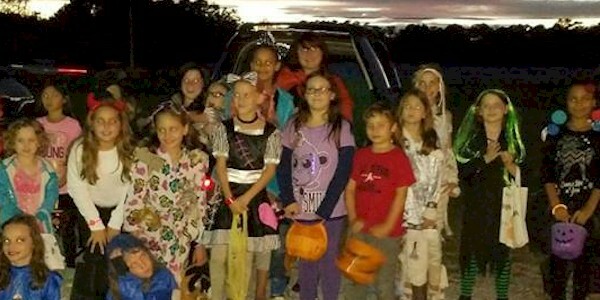 We held a trunk or treat and had a bonfire with Smores and lots of songs!!! 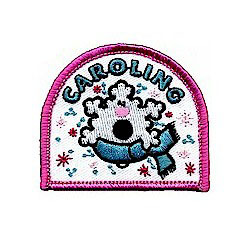 Troop 776 north central alabama. 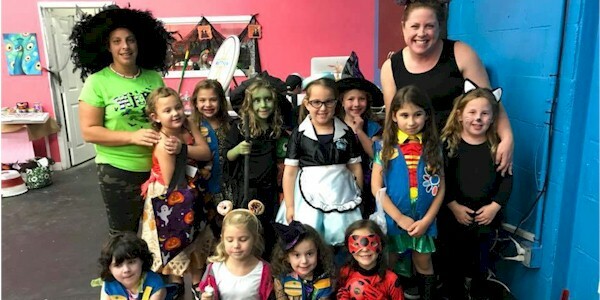 Troop #3700 had a Halloween Carnival where girls made their own carnival booths. 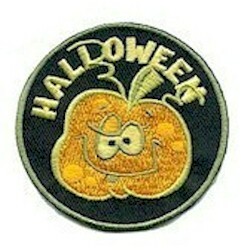 Such as "Sydney's Witches Ring Toss", and Mummy Bowling. 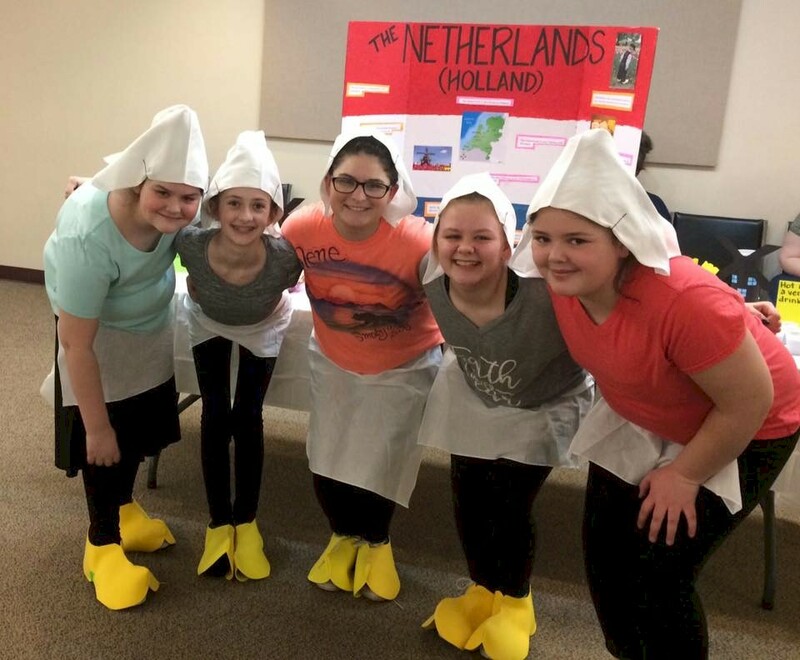 The girls had a blast! 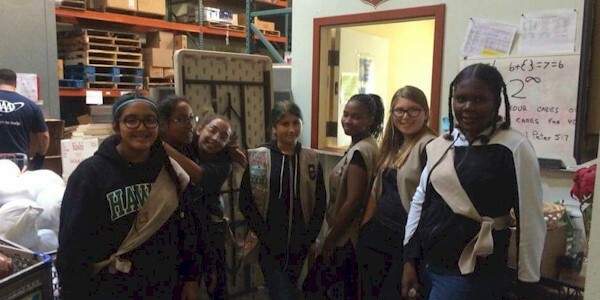 Cadette Troop 916 - Sanford, FL packed over 1,000 meals with Orlando Cares - Hope for Puerto Rico!